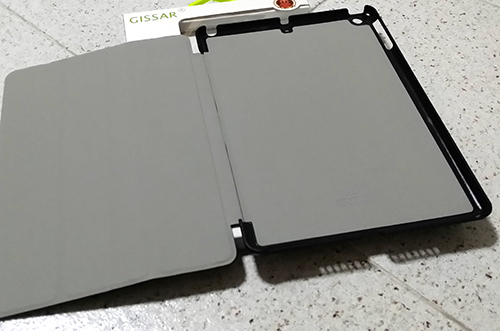 With the discount, I purchased the iPad Air and Gissar flipcase + a clear screen protector bundle. The outlet having promotion whereby a discount is applied for a case with a SP. 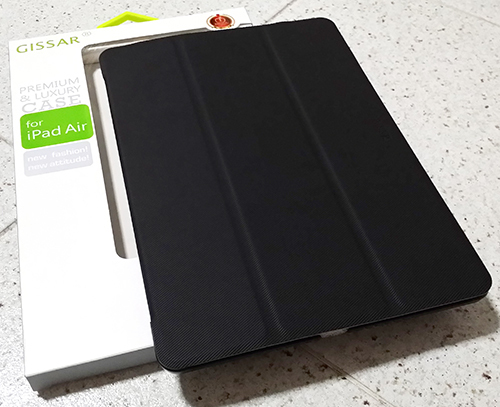 Or purchase with apple care plus the with discount on certain iPad Air cases. I bought that bundle for $59.90. Usual think is $80plus. 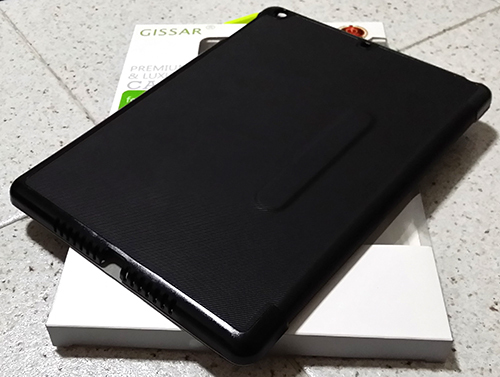 Gissar flipcase (black). Inside you'll see "Designed in Korea, made in China. • Fitting is good all round. • The pattern outside allows good grip. Inside front is smooth like. • The enclosure protects all corners. 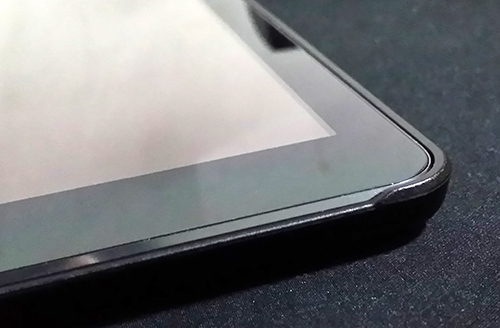 • Fairly thin profile but likely not as thin as adix_82's Rock cases. 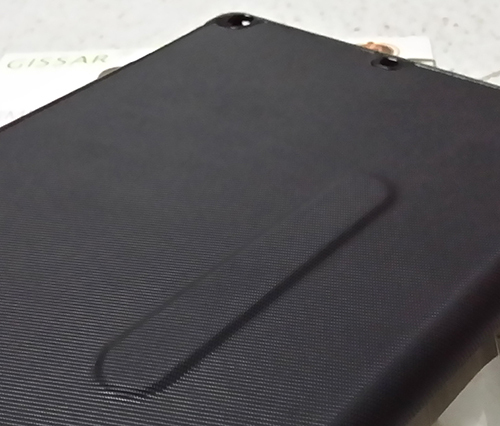 However, it does gives me a feeling that it will do it's job of protecting the iPad Air very nicely. 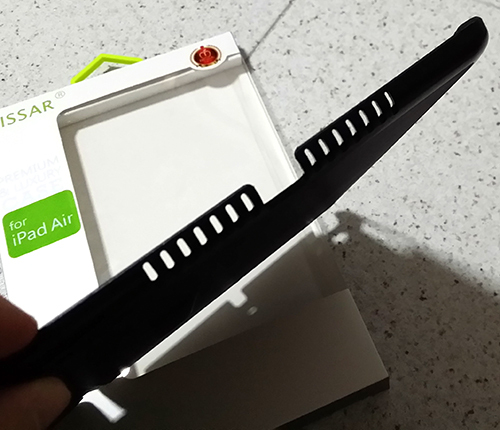 • The bump (see picture) at the back seems to be a magnetic strip or something which snaps the flip in place when folded. • I would prefer the colour of the inside front to be black instead of the default light grey. Have a nice day playing your new toy!